This is a hard one. Even though I have read a lot of great books I always prefer reading something for the first time rather than re-reading it so there aren't many I have re-read (or would want to). I guess if I had to pick one though I'd go with Far From The Madding Crowd by Thomas Hardy. I read this book originally in high school where I did a book presentation, an essay, and no doubt some other analysis, but that was awhile ago and I think it may deserve a re-read or two (or more depending on how long I am stuck on the island). Also the copy I have once was my Grandmother's, who is no longer with us, so it would be comforting to have with me. I liked where Misty was going with this one so I think I shall follow suit and choose The Complete Works of William Shakespeare. I own a copy (not the one pictured) but haven't read most of it. I picture reading it on the island and when I got bored then we (whoever is on the island with me, or me myself and I) could act out the plays. The Series I would choose would be The Nancy Drew Mystery Stories... so for this "book" I guess I'd have a massive bind-up that includes the first 56 "original" Nancy Drew stories by Carolyn Keene. I've read most (if not all) of them at one point or another, mostly as a child, and really adore Nancy and her friends/family as characters. May not want to carry around this bind-up though lol. I love your selections! 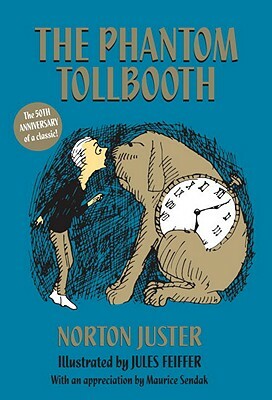 The Phantom Tollbooth is one I really want to read at some point- everyone seems to adore it!